That's Abhinav Mishra in a nutshell, for you. The store is neatly laid out with whatever is Abhinav's current collection (at the moment, this is gentle pastels, midnight blues and blacks with some traditional loud boys thrown in). Mirrorwork is their USP, and I was told at the store that Abhinav is best known for his pastel lehngas (I could see why), so go here especially if you want those, or a crossover of these two in specific. If pretty pastels are not your vibe, try a near-gothic dark hue instead. Kudos to any bride that can pull off a decadent black or a lush, full blue on her wedding day—norm breaking meets statement-making in the best way possible. They also have more traditional hues, but they weren't the big sell, in my opinion. Their older collections (marked down significantly from their new collection) is only available at multi-designer stores. It would be nice if the pieces were there to peruse at the standalone store in Shahpur itself. 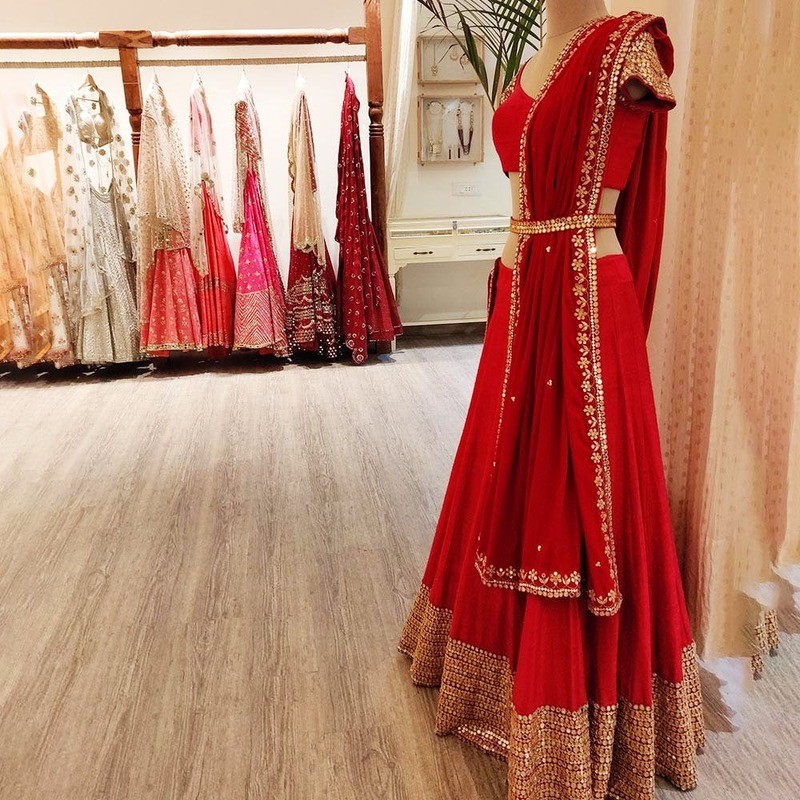 They also have costume, bridal jewellery popping at their store from a small place called Chhavi Jewels, in case you don't want to make multiple stops.